Adequate height in individuals not only depicts their good health but also gives them a self-confidence boost. Lack of height, on the other hand, are a deterrent in a child’s life because it has a negative mental effect on the child’s mind. The stress of being the shortest one in the group is not easy to handle. While the main factor that affects the height of a person is their genetic history, some environmental and external factors also play an important part in their proper growth. Human height is mainly governed by a hormone called the Somatotropin, also known as the human growth hormone (HGH). Lack of proper nutrition is the first and foremost reason why there isn’t a normal increase in a child’s height. Lack of sleep. A teenager is advised to sleep for more than 8 hours on a daily basis as it is an important period for growth and development. Caffeine is said to be a growth stunting element so consumption of caffeine during the growing years can affect height. Lack of proper exercise and movement. Imbalance in height/weight ratio. Research has shown that children who smoke or are exposed to second-hand smoking have stunted growth. Usage of anabolic steroids for bodybuilding purposes is a major reason for improper growth in children. Eating a varied diet of fresh vegetables and fruits, nuts, dairy and lean meat. A balanced diet is a key to growth. Green leafy vegetables and fruits like banana are very effective in aiding proper height increase. Most of the development and rehabilitation process of our body happens only during our sleep which is why getting an adequate amount of sleep is of utmost importance. This is especially true for adolescent kids as sleep plays an important part in their growth. Being unwell during childhood takes up all the body’s energy, and it affects the growth of a child. Having a strong immune system and maintaining healthy habits is also an important factor in a good height increase. Exercise or in the case of children, sports are a key factor in deciding their eventual body ratios. Playing sports from childhood ensures that a child has a healthy body with a good body mass index and proper growth and development. Height increase treatment at HPDC is a process that has been developed by completely natural means. 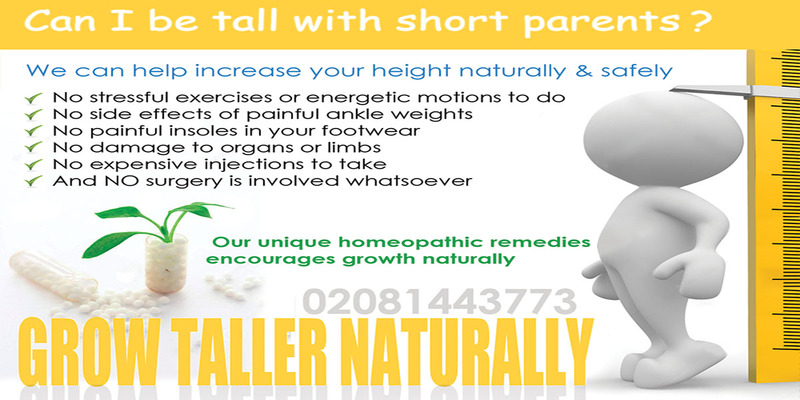 We provide you with our homeopathic height increase drops that will aid and speed up the process of growth of a kid. We also offer you with a comprehensive list of do’s and don’ts and some valuable medical advice. All our height increase treatment methods are completely natural ones, and they do not pose any threat to your health. There are absolutely no side effects of our height increase treatment, and it is safe to use. Get in touch with our experts at HPDC and get a detailed height increase treatment plan that is not only effective but at the same time, does not harm your body with harmful chemicals.